Did Christianity Steal the Date of Pagan Winter Solstice Celebrations? When modern critics of Christian Christmas make claims that Christians stole the solstice celebrations they usually mix together their ideas of Roman, Germanic, Nordic, and Celtic winter celebrations into an anachronistic mash or impossibly conflicting claims. The method is to overwhelm people with their supposed "information." There is just too much data for the average person to absorb. Viewers and readers assume that the people that put the books or programs together must know what they are talking about since they seem to know so much. It is more accurate to use the words attributed to Henry Wheeler Shaw: "It's folks knowing so much that ain't so." We've already dealt with the false claims about Sol Invictus. We've also already dealt with the misuse of the early Church Fathers. 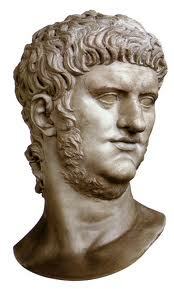 Juvenalia was actually instituted in 59 A.D. by Emperor Nero to celebrate his first shave at the age of 21. In other words, he was no longer a child, but an adult. Juvenalia was not a celebration of youth, but of coming out of adolescence to be a real man. In this article I am listing sources instead of copying the quotes because they are long, but please don't gloss over what the source says. Go to it and read it. Read each of them. We can go back to Tacitus (56 – 117 AD), the earliest historian who recorded the invention of Juvenalia. Tacitus was 2 or 3 years old when Nero celebrated his Juvenalia. Again, no particular date, nothing about a childhood celebration or gift giving. Nero did command his people to sing or perform lewd songs and acts in the theaters he had constructed for this occasion. Next is Suetonius (c. 69 – c. 122 AD) [roughly contemporary with Tacitus], who wrote in his The Lives of the Twelve Caesars, [English/Latin] but gives only a very brief account, stating nothing about the date of Nero's beard shaving party, nor about any child's gathering or gift giving. Born almost 100 years after the Nero invented Juvenalia, Cassius Dio (c. 150 – 235 AD) gives a description that is more detailed than that of Tacitus or Seutonius in his Roman History 62.19-21 [Greek Text][English Text] Found in Vol. VIII of the Loeb Classical Library edition, 1925 LXI:19-21, pp. 77-82. No date for Nero's Juvenalia is mentioned by Cassius Dio. He does mention that Nero had theaters constructed for the event. He also mentions that Nero forced people from the high end of society in to humiliating and lewd acts in honor of the emperor’s first shave, which they did because they had a not unreasonable fear that Nero would kill them if they displeased him. Dio also writes that Domitian (51 – 96 AD, emperor from 81-96)gave Juvenalia games but assigns no date. So, now we are 175 years after Nero instituted Juvenalia, and we have no date of the year, no mention that this festival is for the good of children, and no mention of gift giving. We do have the fact that Nero constructed theaters for this celebration and commanded performances that included a singing competition. And, of course, Nero was declared the best singer of all. The choice of December 25th and January 6th for the Christmas observance is already established by the end of the 2nd century AD. Lexicographer William Smith's 1870 Dictionary lists his next reference given of Juvenalia to Sidonius Apollinaris, (430 -489 AD) Carmina XXIII.307, 428; but a search of this document came up without results. Perhaps someone else can help finding more on this particular document. The Latin is available here. Augustan History, "The Three Gordians", 4 refers to three emperors in the early 3rd century who also instituted Juvenalia games. But these take place after the Church had already established the dates for the celebration of Christmas. What can be said about Juvenalia is that no particular consistent day of the year or month is given for this festival, though a few Emperors tried to establish such a celebration both immediately after with Domitian, and more than a century after with the Gordian emperors. Singing was involved with Nero's debauched celebration. But then singing is associated with almost any celebration one could point to, including the birth of Christ. Do not forget the Angels singing to God in the presence of the Shepherds and the gifts of the Magai to the Christ Child. The fact that singing was present at Christ's first Advent was not caused by Nero. It is indeed a perverse logic that would imply that the Gospel writers were trying to win the approval of Nero by including this feature of the Christmas Narrative to win approval of those who complied with Nero's edict under threat of death. The earliest mention of Juvenalia with Christmas may come from Alexander Hislop's 1853 “The Two Babylons” an anti-Roman Catholic member of the Masonic Lodge. Hislop's work was popularized by Ralph Woodrow's 1966 “Babylon Mystery Religion.” Woodrow has now recanted and rejected the Biblical and historical errors of Hilsop which he had promoted in that work. Remember that Hislop is a main theological father of several Millerite and Campbelite groups like the Seventh Day Adventists, the Jehovah's Witnesses and also the Christadelphians. The Roman texts that we were able to survey and to which most critics of Christmas refer actually say nothing about the date of Juvenalia. It has nothing to do with the date of Christmas nor does it have to do with the date of the Solstice. Those texts do point out that Juvenalia was not a child's festival nor a festival for children, but rather a "coming of age' celebration for an adolescent male into his manhood. There was theater with singing and acting. But it is not legitimate to claim the cause of Christmas carols is to be credited to Juvenalia because some Romans sang at that celebration. This article builds on what was established in the first two articles in this series. Please remember that these articles are not trying to establish what day or year Christ was actually born. These articles are written to demonstrate when the Christian Church chose dates, and to rebut the accusations that these dates were chosen in order to embrace or suppress pagan idolatry. The first article looked at the early date at which the Christian Church had through its own Biblical and Liturgical reasoning established a particular date on which to celebrate the Birth of Christ. The dates chosen were based on when the Church understood the Creation took place, when the Conception of Christ took place, and when the Crucifixion of Christ took place. And as early as before the year 200 A.D. the Church Fathers had settled on either December 25th or January 6th. The fact that the early Church had established these calendar dates to celebrate the Birth of Christ by the close of the 2nd Century is important in understanding how and why from the time of the Reformation until now the modern efforts to discredit these dates by claims of pagan origins are false and misleading. The second article looked at the particular case of the pagan holiday of Sol Invictus, “The Unconquerable Sun” or “The Invincible Sun” and showed from the actual historical documents and resources that this particular pagan holy day was a later invention dating from after the year 274 A.D. and probably even later than 354 A.D. We also saw that these sources may likely represent an attempt of pagans to usurp the Christian liturgical celebration of the Birth of Christ on the date of December 25th. A very common method of argument is that Christian Church Fathers also prove that the Christmas celebration is really stolen from pagan solstice festivals. Increase Mather was a rabid anti-Catholic Puritan responsible for burning witches in Massachusetts. Paul Ernst Jablonski's 1754 Institutiones historiae christianae antiquioris. Hilsop's work helped form the theology of the Seventh Day Adventists, the Jehovah's Witnesses and strongly influenced several Millerite groups. McCabe was a man who fell from faith in Christ and spent most of his life writing against Christ, Christianity, and the Church. He was interested in discrediting Christianity so people would lose faith in God. And others: like Hermann Usener and Bernard Botte. The Church Fathers that are usually mentioned are Cyprian, Origen, Chrysostom, and Tertullian, and Augustine. A text long thought to have been written by Cyprian is often quoted as linking Sol Invictus and the Solstice to the choice of December 25th. The text is titled De Pascha Computus (The Passover Computation). The authorship is unknown because text itself probably pre-dates Cyprian's baptism. Some date it to 243 A.D. This dating would also put the text before Aurelian's October Sol Invictus games and more than a century before the earliest recorded association of December 25th with the Sol Invictus celebration. "O, how wonderfully acted Providence that on that day on which that Sun was born . . . Christ should be born." O the splendid and divine Providence of the Lord, that on that day, even at the very day, on which the Sun was made [factus], … Christ should be born [nasceretur]. The Latin text is from chapter 19, p. 266 of De Pascha Computus. The Passover Computation places Christ's birth on March 28, not the Winter Solstice. But more importantly, the day was Wednesday, the fourth day of the week. Wednesday is the day of the week that the Sun, Moon, and stars were created. “The very day” is “Wednesday” the fourth day of the week. Equating this with March 28 reflects the date of the year when the author believed the world was created. It is often stated that Tertullian had to assert that Sol was not the God of the Christians, as if this means that there was rampant solar worship that Christianity was competing against. Others, again, certainly with more information and greater verisimilitude, believe that the sun is our god. We shall be counted Persians perhaps, though we do not worship the orb of day painted on a piece of linen cloth, having himself everywhere in his own disk. The idea no doubt has originated from our being known to turn to the east in prayer. But you, many of you, also under pretence sometimes of worshipping the heavenly bodies, move your lips in the direction of the sunrise. In the same way, if we devote Sun-day to rejoicing, from a far different reason than Sun-worship, we have some resemblance to those of you who devote the day of Saturn to ease and luxury, though they too go far away from Jewish ways, of which indeed they are ignorant. The implication is that sun worship is a foreign thing to Roman north Africa, that it was typically thought to be a Persian notion. Further, Romans thought this facing east during prayer and praying on the first day of the week implied that Christians followed the Persian notion of sun worship. But using that particular day was no different than taking Saturday off for the Romans. There is really nothing here to show that Christianity borrowed pagan sources for the celebration of Christmas. In fact, if the arguments that Mather and the others make were to be valid, Tertullian would have to be made to say that Christians cannot worship on Sunday because it is a pagan day dedicated to Sol. No where do we find anything like this until the time of the Puritans—who did away with day names for precisely this reason. Next is Tertullians Against the Nations chapter 13, where he addresses the false charge that Christians worship the sun. There he states the same as in the Apology. The fact that Tertullian or other Fathers of the Church had to defend the Church against the charge of worshiping the sun does not demonstrate that celebrating Christmas on December 25th is wrong. It says nothing about the solstice. Origen is often enlisted as support against the celebration of Christmas. We saw in the first article in this series that Origen's predecessor, Clement of Alexandria, had already shown that the celebration of Christ's birth on December 25th or January 6th was known in Alexandria. The claim is that Origen wrote against celebrating Christmas in his 8th Homily on Leviticus. Christmas is a celebration of a birthday. 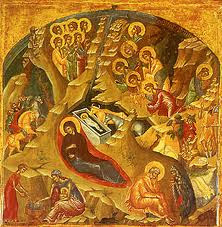 Therefore, Origen is made to oppose the celebration of Christ's birth (Lev. Hom. viii in Migne, P.G., XII, column 495 ). In his 8th Homily on Leviticus Origen interpreted Leviticus 12 and 13, discussing purification after childbirth with the sacrifice of the two pigeons or two turtledoves for the newborn child. This sacrifice was necessary because of the sin of the newborn. Origen argued that no saint in Scripture rejoiced in the birth day of a son or daughter because of the need to purify the newborn from sin. In the Scriptures he could only find sinners like Pharaoh and Herod celebrating their births. And both of those men stained the celebration of their births with bloodshed. Origen argues further that the saints, like Jeremiah (Jeremiah 20:14–18), Job(Job 3:1–3), and David (Psalms 51:5) cursed the day they were born. These men uttered these words by the power of the Holy Spirit, so therefore baptism is absolutely necessary for the newborn. Origen's recollection about birthdays in Scripture was not as accurate as it could have been. Abraham and Sarah both rejoice at the birth of the promised son, name him “laughter” both in admission to their own initial doubt of God's promise, and for the joy God had given them. They celebrate the birth and the weaning of that son (Genesis 21:1-8). Leah rejoicing at the birth of Judah (Genesis 29:35). Naomi, Ruth, and Boaz rejoice at the birth of Obed (Ruth 4:13-17). Hannah rejoices at Samuel's birth and gives an annual gift for Samuel in thanks for his birth (1 Samuel 2:1-11, 19). The Angel tells Zechariah that the birth of John the Baptizer will be a cause of joy to his parents and to many, including those who were there to celebrate his birth(Luke 1:14, 57-58). Besides the rejoicing over those births recorded in Scripture are the many times God draws a parallel between the joy of birth and the coming of God's kingdom and God's steadfastness from our birth: Psalm 71:4-6; Isaiah 46:3-4; 66:7-11; Micah 4:10; John 16:21. Also, God's Word points out specifically that the Birth of the Messiah would be a cause for celebration and joy: Psalm 87; Isaiah 9:1-7; Micah 5:2-5, Zecheriah 2:10; The Wise Men of Matthew 2—with their gifts; and the Angels and the Shepherds of Luke 2. So with Origen we can say these things: 1) he was not writing about the date of Christ's birth but about the necessity of baptism for naturally born sinners as exampled in Leviticus 12 and 13. 2) Origen may have thought birthday celebrations were to be avoided—but he did not stand on solid biblical grounds for that opinion. In any case, the example from Origen does not demonstrate that the date of Christmas came from the Roman Solstice. Nor does it demonstrate that the practice of celebrating the Birth of Christ came from pagan solstice practices. This particular quotation is often referred to, very seldom quoted, and only from one source available now: The 1911 Catholic Encyclopediaarticle on Christmas. The title given in the article is "del Solst. Et Æquin." meaning “Concerning Solstices and Equinoxes”. The source for the article is given as “(II, p. 118, ed. 1588)”, which means nothing. The Opera Omnia of Migne's Patrologia Graeca does not list this document. "Sed et dominus noster nascitur mense decembris . . . VIII Kal. Ian. . . . Sed et Invicti Natalem appelant. Quis utique tam invictus nisi dominus noster? . . . Vel quod dicant Solis esse natalem, ipse est Sol iustitiæ." "But Our Lord, too, is born in the month of December . . . the eight before the calends of January [25 December] . . ., But they call it the 'Birthday of the Unconquered'. Who indeed is so unconquered as Our Lord . . .? Or, if they say that it is the birthday of the Sun, He is the Sun of Justice." If someone could find this document, I would greatly appreciate it. As it stands, at best it can only demonstrate that some people had started to talk about the “Birthday of the Unconquered” some years after Aurelian's Sol Invictus games of 274 A.D. and after the Pilocalean Calendar of 354 A.D. The dates for the celebration of Christmas had already been selected long before Aurelian. From what is quoted the writer is not arguing that Christianity took the date of Christ's birth from the “Birthday of the Unconquered.” Nothing is mentioned about a solstice. And with so much missing, it is hard to know what this document is addressing. “(Tract xxxiv, in Joan. In P.L., XXXV,1652) denounces the heretical identification with Sol” (from the 1911 Catholic Encyclopedia, same work as above). This tractate on John 8:12 “ I am the light of the world. He who follows Me shall not walk in darkness, but have the light of life.” The English translation is at CCEL. So, again, the evidence enlisted from the Church Fathers to prove that Christianity stole pagan solstice worship for Christmas comes up dry. Notice that Augustine is focusing on the destruction of property, vandalism, and endangering lives with fire and smoke. Augustine's argument is: Even if you don't do these things to honor false gods/demons anymore, these vandalisms are still reckless and dangerous to life and property. They must stop. There are other Church Fathers that are also enlisted in the effort to prove that Christians ought not to celebrate Christmas on December 25. But the Church Fathers discussed in this article are the most often cited. By seeing the quotations in context we can understand how little these writings have to do with the choice of date for Christmas, the pagan solstice, or with any Christmas festivities that we have inherited today.